On the physical level, our spinal column is our backbone. On the spiritual level, our chakras form our energetic backbone. Chakras practically represent your energetic circuitry that allows you to experience every major aspect of your life. 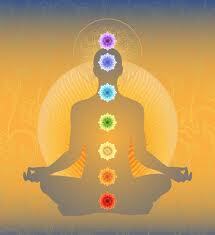 All of life's wounds and histories are recorded in the chakra system. When there is an imbalance or disturbance at any level of the chakras, it affects your health and wellbeing as well as the way you perceive your life, divine connection, relationships, including money. 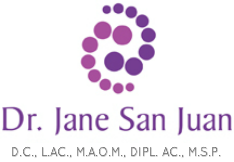 Dr. San Juan can help rebalance and clear your chakras using various techniques such as breathwork, visualization, gestalt, zero-point energy wanding, flower essence homeopathy, and her personal favorite, Meridian Tapping (or EFT). AMWell Wand is a holistic, non-prescription, healing device that emits zero point field energy that reminds the body to shift back to balance and homeostasis. It can be used to get rid of body pain, insect bites, to energize the food and plants, etc. AMWell Pendant carries the same energy as the wand but provides you a 3-feet biofield protection against harmful EMF (electro-magnetic field). Great for people who work with computers, cellphones, or electronic gadgets all day. Tapping is an amazing self-help modality to help release stress in our body in able to free us up to more creativity and happiness. It is a combination of the ancient acupressure and modern spiritual psychology.